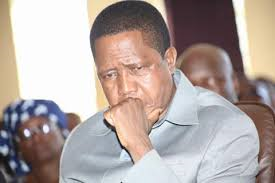 Patriots for Economic Progress says he stands by his statement that President Edgar Lungu possibly suffering from a mental illness, which might be the primary cause of his various irrational national decisions in the recent past. Commenting on the various concerns raised by Citizens over his statement, Mr. Tembo said mental illness is just like any other illness and must not be stigmatized. “As a matter of fact, the national prevalence of mental illness in Zambia is currently about 4% of the general population and a whopping 13% of the adult male population. It is on this basis that the framers of the Republican Constitution took into account the possibility that a person elected to the position of Republican President might suffer a mental illness during their tenure”, Mr. Tembo has said. He said accordingly, article 107 of the Republican Constitution provides guidance on the procedures that must be followed if the Head of State is suspected of suffering from a debilitating mental illness. Mr. Tembo said his party has been closely monitoring the quality of official decisions that have been made by President Lungu, ever since he took office in February of 2015. He said the Patriots for Economic Progress has also been consistently pointing out any poor decisions made by the President, which they usually attribute to incompetence, however in the recent past, they have noted certain poor decisions made by President Lungu which are too grave to be attributed to incompetence alone, but actually border on mental illness or incapacity. He said a case in point is the decision by President Lungu to purchase a brand new Gulfstream G650 private jet for himself using approximately K900 million of tax payers money, and yet he is failing to pay salaries for his employees in the civil service, local government and parastatal bodies. Mr. Tembo said another case in point is the decision by the President to send his wife on a meaningless trip to the United States of America to go and receive used second hand fire trucks, with an exaggerated entourage of 25 personnel including maids and cleaners, as if US hotels do not have cleaners, for a prolonged period of about two weeks, using millions of Kwacha of tax payers money, and yet the majority of peasant farmers who supplied their maize to his Government in the last farming season have not been paid. He has reiterated that President Lungu be subjected to a mental exam for purposes of determining his mental fitness, and consequent suitability to continue holding the office of Republican President, as guided by article 107 of the Republican Constitution. Mr. Tembo said if indeed the President is mentally sick as they strongly suspect, then he needs to be afforded appropriate medical assistance and therapy so that he could make a full recovery. “However, if the medical exam determines that contrary to our suspicions, the President is actually mentally fit and that his consistent poor decisions are in-fact not premised on any mental disorder but merely incompetence, then the President will resume his duties. But at least our fears and those of the majority of our citizens that the president might be mentally ill, will be arrayed”, he added. He said in the quest to address this matter once and for all, the Patriots for Economic Progress will soon be writing to our Opposition Alliance partners in the United Party for National Development, who have representation in Parliament, requesting them to consider laying a motion on the floor of Parliament for President Lungu to be subjected to a mental exam, as provided for by the Constitution. He said if the motion meets Parliamentary approval, as they expect it, then the Chief Justice will be compelled to institute a medical board to inquire into the mental capacity of the Republican President, within 7 days, as provided for by article 107(4) of the Republican Constitution. He has emphasised that his party’s position on this matter should not be misconstrued to mean that we disrespect the Republican President in any way and has apologised in advance if in the quest to put across the case, they inadvertently disrespected the President in anyway. Mr. Tembo said his party firmly believe that the matter of the President’s mental fitness needs to be addressed in a sober and candid manner, without emotional inclinations whatsoever.